Well Karamanis has done a great job. First, I could not find any book or paper that had so much information concerning the development of the TV industry in small European countries, as to be aided with my own research. 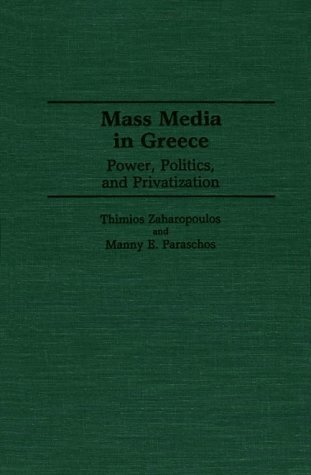 Second, although the book is concentrated on the Greek case, it is not difficult to follow Karamanis' example as to draw useful conclusions on a larger scale, especially considering the impact of deregulatory developments all over Europe on TV developments. 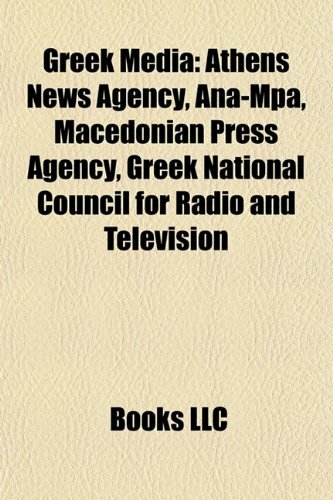 The book certainly fills a gap in the international media policy literature, and above all provides an extremely helpful insight in understanding national media policy developments and impacts. 'The Role of Culture and Political Institutions in Media Policy' by Theomary Karamanis has added a golden brick on the wall of international media policy literature. 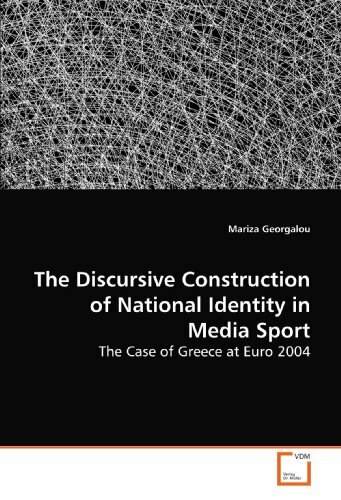 Karamanis argues that economic, cultural, political and institutional factors are necessary to fully understand and analyze national media policy developments and impacts. Greece is used as a case study to illustrate how different economic, cultural, political and institutional forces interact and affect each other in reshaping the audiovisual industry. 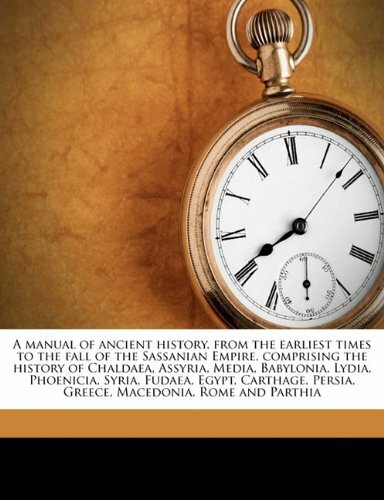 Although initially the Greek example may sound quite specific for the global audience, the book earns its significance since it fills a long standing gap in the literature. It offers a well documented insight as regards the development of the TV industry in small European countries, confronting these developments as an integral part of deregulatory developments all over Europe. 'The role of culture and political institutions in Media Policy' constitutes essential reading for all involved in media education. The book not only acknowledges the increasingly difficulty of media regulation and policy to deal with complex issues in the era of globalization and commercialism, but goes a step further, by stressing the importance of culture as a set of 'informal but broadly accepted norms that constrain the actions of individuals or institutions'. Truly, in the present era, culture should be seen as one of the most important factors that influence media developments not only at local but also at international level. 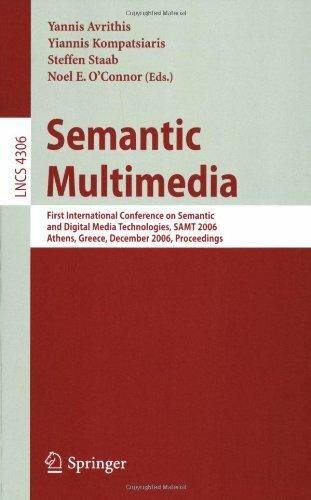 This book constitutes the refereed proceedings of the First International Conference on Semantics and Digital Media Technologies, SAMT 2006, held in Athens, Greece in December 2006. The 17 revised full papers presented together with a invited keynote paper were carefully reviewd and selected from 68 submissions. SAMT 2006 targets to narrow the `Semantic Gap', i.e. the large disparity between the low-level descriptors that can be computed automatically from multimedia content and the richness and subjectivity of semantics in user queries and human interpretations of audiovisual media. The papers address a wide area of integrative research on new knowledge-based forms of digital media systems, semantics and low-level multimedia processing. The Asia Minor Campaign remains one of the most disastrous episodes of modern Greek history. The retreat of the Greek army after being routed by Turkish nationalist forces in Anatolia in 1922 was a catastrophic event. 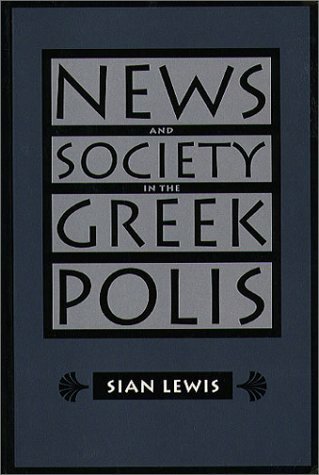 Yet, as this meticulously researched study of Athenian newspapers from 1919 to 1922 makes apparent, the bulk of the Greek press created the illusion that all was well at the front and hid the reality of impending disaster. Here Eglezou presents these familiar events through a dramatic new perspective: the role and content of the Athenian press as a means of propaganda. The reporting of the pro- and anti-government press is closely rendered to provide fascinating insights into why a delusory policy was pursued to the bitter end. 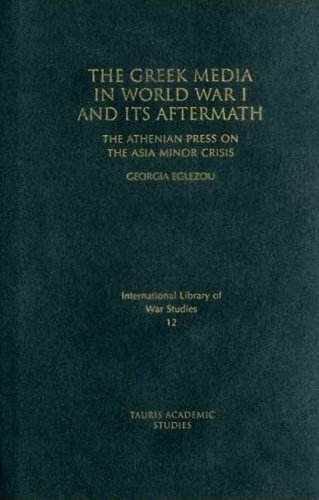 With a comprehensive account of the Campaign, Eglezou adds a new dimension to our understanding of the history of modern Greece, as well as the relationship between the press and politics more generally. 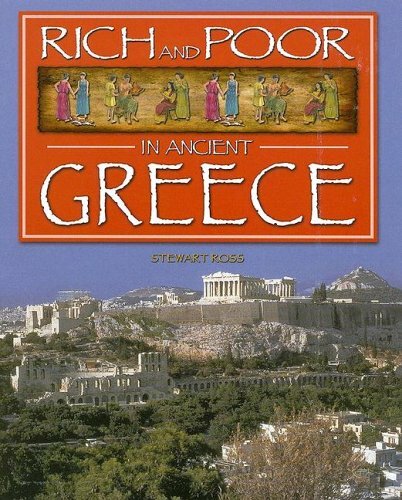 This book explores the changing fortunes of the heroes of Greek myth and history in the melting pot of popular culture. 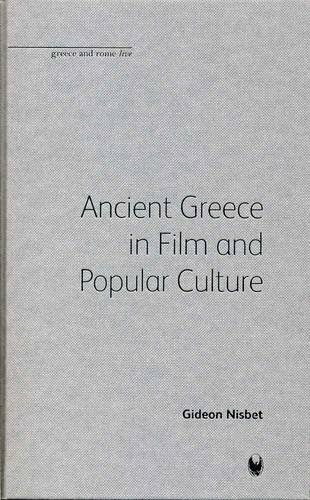 Using little-known examples, classicist and film fan Gideon Nisbet charts the hidden history of Greece in the twentieth-century imagination, from film to science fiction and comics. As the twenty-first century began, no less than seven production companies were declaring their intention to turn Alexander the Great into a wide-screen hero. The rivalry was intense, the resulting media circus unprecedented. How could a long-dead warlord generate so much movie-industry gossip in the present day? And why, in a century of film-making, had so few versions of his story – or that of Troy’s fall – made it to the big screen? When did we last see Classical Athens or Sparta in a movie? In the aftermath of Gladiator (2000), with Hollywood studios rushing to revisit the ancient world with Troy and Alexander (both 2004), these questions take on renewed significance. Nisbet here unpacks the ideas that continue to make Greece hot property in Hollywood. His lively exploration, which assumes no prior expertise in classical or film studies, will appeal to anyone with an interest in ‘reception’: the present day’s continual re-use and re-invention of the past. This book was used in the early 80s as the textbook for my Hellenistic States I and II classes in college. It is not a textbook in the manner of having Q&A and other study related stuff embedded at the end of every chapter. 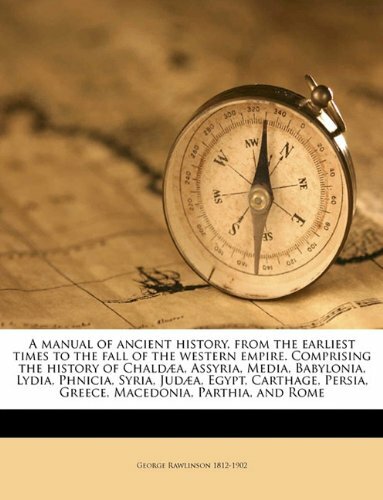 It reads very well and is provided with maps and illustrations - in black and white. 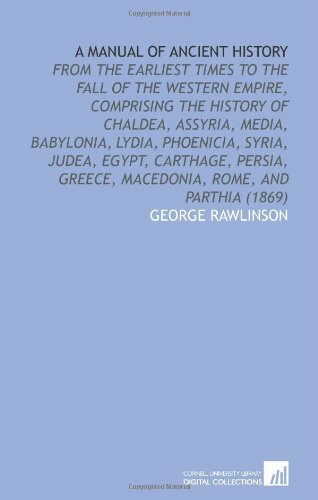 My instructor for this class who was quite exceptional, regarded Bury as the best possible single volume (here is split into two smaller volumes) history that encompasses such a large section of the Greek word. I agree with him. The book starts from archeological finds from the Bronze Age and the early Minoan period which was based on the island of Crete. This first section is very archeological in detailing pottery and other finds - that's all they have. The Mycenaean period follows and its subsequent destruction by the sea raiders and other invasions of the Greek mainland. 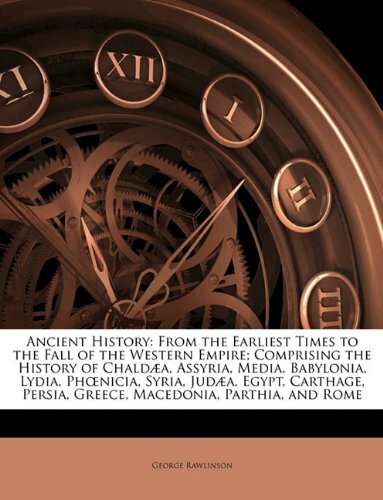 The relationships between Greece and the Lydian kingdom in Asia Minor with the Phoenicians and others are well told detailing both trade and political developments. The growth and expansion of Athens, Sparta and other Greek states are also very well treated. 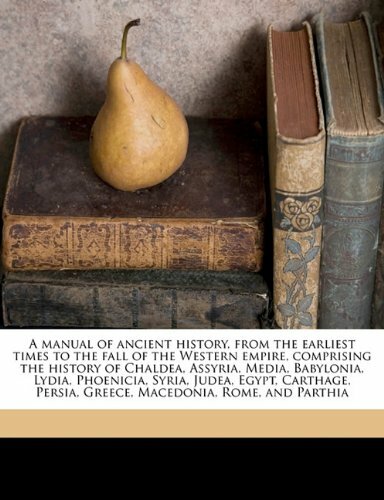 The book is very good at describing the establishment of the democracy and legal system in Athens and a very different system in Sparta complete with its dual kings and the unique Ephors that are elected and have a power that includes being able to remove a Spartan king. 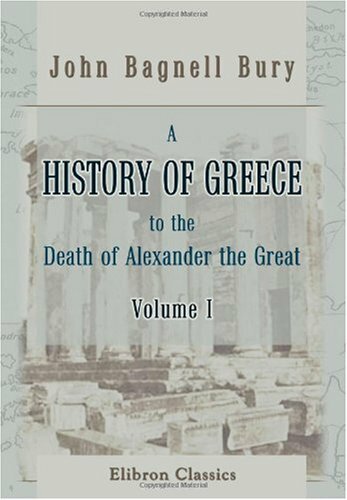 The recent book by Donald Kagan on the subject of the Peloponnesian War does not cover these important details and hence a reader can get lost in his narrative, unless of course they have read Bury or have a basic understanding of the how the ancient Greeks lived. As the prototype of our form of democracy the history of the Greece states remains important today as when the founding fathers of the United States used the lessons they learned from Greece and applied them to the formation of the American democracy.